On Monday Boaz Albert was transferred to the Torah Wing of Ayalon Prison following death threats from "minorities." Albert, a resident of Samaria, has been arrested for refusing to comply with an "administrative order" expelling him from his home for no given reason. Albert received death threats in Nitzan Prison reportedly because of his "settler appearance," and because he once killed a terrorist that broke into his house. Lawyer Adi Keidar of Honenu said repeated requests concerning the conditions of Albert's imprisonment and the death threats were not answered by the Prison Services. Only after a petition by Honenu to the courts was Albert transferred. The transfer was aided by the intervention of MK Zevulun Kalpa (Jewish Home/Bayit Yehudi). 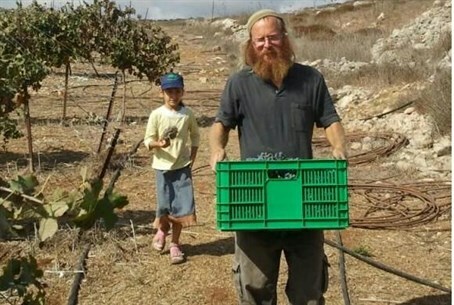 Albert refuses to be freed from jail until the "administrative order," which was issued without trial or detailed reasons and prevents him from returning to his home in the Samaria community of Yitzhar, is cancelled. He has written an op-ed for Arutz Sheva explaining his decision. The administrative order has led to him being arrested on numerous occasions, including an infamous incident in which he was tasered multiple times, despite offering no resistance to his arrest. In another confrontation with police Albert chained himself to his home in Samaria. A source close to Albert said Monday morning that although he could be freed, Albert "is struggling against the arbitrary and dictatorial order of the General Commander preventing him from going home. ...I was happy to see that he is strong and encouraged by the wide public support he is receiving." Citizen movements have sprung up in the last few months calling to free Albert and cancel the use of administrative orders. This Saturday night an event is expected to be held in support of Albert. Rabbis and MKs are to take part in the event.